EUPRO maintains a tradition of top quality and competitively priced products backed by unparalleled customer service and support. 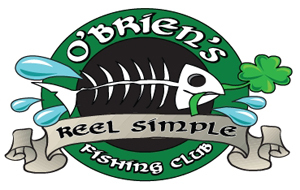 EUPRO is proudly endorsed by Captain Sean Hagen and O'Brien's Reel Simple Fishing Club. Our fishing club is for inshore and offshore fishing Where captains, guides, visitors, serious fisherman, the weekend fisherman, woman or child can come together and enjoy and learn the sport of fishing. Captain Sean heads the Pant City chapter of the O'Brien's fishing club and would like to welcome anyone interested in fishing to come on down an say, howdy! To learn more about the club you can contact Capt. Sean at 813 545-5639 / captainseanhagen@fishingwithshamrock.com or simply go to http://www.obrienspubs.com. Your angling experience doesn't have to end at the boat ramp. Captain Sean can clean and bag your fish and set you up with a HOOK-N-COOK at a nearby O'Brien's Irish Pub and family restaurant! Here you can enjoy your catch expertly cooked several different ways accompanied with fries, Celtic chips and slaw at a great price! All one has to do is let captain Sean know and he will call ahead so the good folks at O'Brien's can meet you at the door with a cold pint and a warm smile and prepare for you an awesome meal! Operating a charter business involves long hours and can be physically exhausting. That's why I rely on XB-Fit. XB-Fit keeps me sharp and alert on the water. It’s a healthy alternative to your typical energy drink. XB-Fit gives me the boost without the crash and is 100% natural.